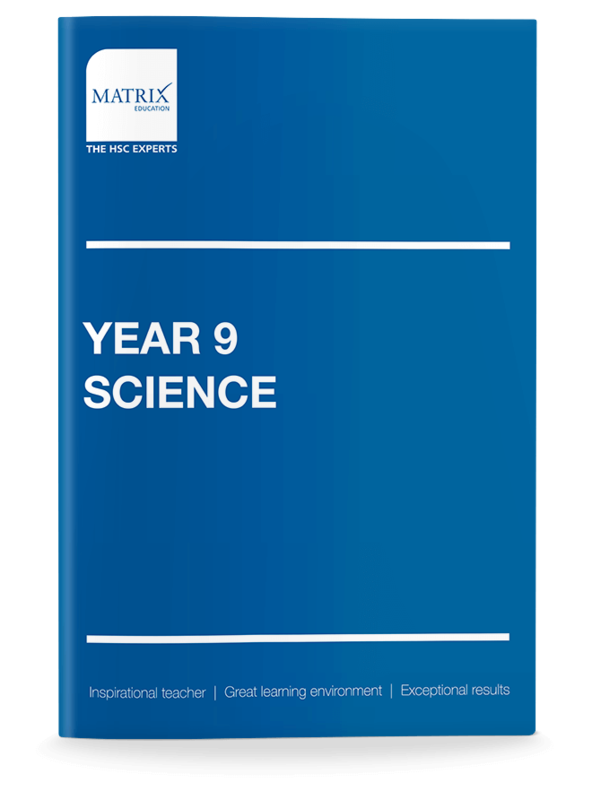 Gain a thorough knowledge and understanding of all topics from the Year 9 Science Syllabus prescribed by the NSW Board of Studies. Be equipped with the Science skills not in your textbook. 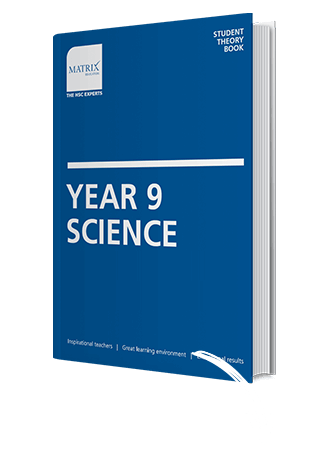 You’ll be able to solve unfamiliar and difficult Year 9 Science questions. Every time. Look forward to showing off your Science skills in school assessments. With the best teachers, resources and support on your side there’s nothing to fear! 190+ pages of easy to understand concepts and examples. 70+ pages of exam-style questions to reinforce your understanding of key scientific concepts. Intended to assess newly learned knowledge and skills - a great way to track your progress! Designed to address any roadblocks in your learning. Never skip a question from your weekly homework with help at hand. Performed under strict exam style conditions in preparation for school assessments. Teachers revise previous lesson and answer homework questions before conducting an in-class quiz. Teachers explain key scientific theories and models which are reinforced by completing exam-style questions. Students ask questions to clarify understanding.